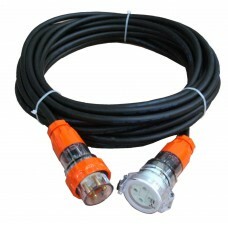 5 Pin 32A-20A Three Phase Adaptor. 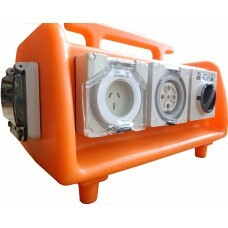 Don’t go changing the 20A plug for a 32A plug to fit and create a potential safety issue. 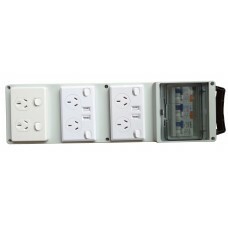 Five (5) pin 32A socket. Without a 3 phase 20A circuit breaker in the line between a 32A plug and a 20A socket, There is a real potential of a 10A extension leads being plugged into a 50A outlet without any protection for the 10A extension lead in the event of a fault. If a fault occurred, this would present a safety issue. 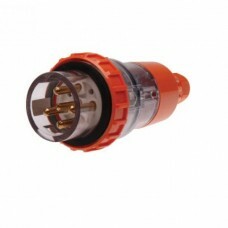 For this reason, EEC ONLY supplies the 32A to 20A adaptors with a circuit breaker in line. 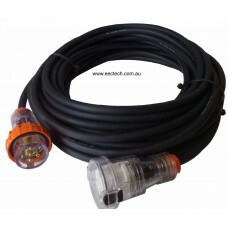 20 Amp,5 Pin Australian Standard Industrial Plug Description -Three Phase plus ne..
20A 5 Pin 3 Phase Australian Standard “Construction” Extension Lead Length: 10 m ..
20A 5 Pin 3 Phase Australian Standard “Construction” Extension Lead Length: 15 m ..
20A 5 Pin 3 Phase Australian Standard “Construction” Extension Lead Length: 20 m ..
20A 5 Pin 3 Phase Australian Standard “Construction” Extension Lead Length: 25 m ..
20A 5 Pin 3 Phase Australian Standard “Construction” Extension Lead Length: 30 m ..
20A 5 Pin 3 Phase Australian Standard “Construction” Extension Lead Length: 40 m ..
20A 5 Pin 3 Phase Australian Standard “Construction” Extension Lead Length: 50 m ..
32A 5 Pin 3 Phase Australian Standard “Construction” Extension Lead Length: 10 m ..
32A 5 Pin 3 Phase Australian Standard “Construction” Extension Lead Length: 15 m ..
32A 5 Pin 3 Phase Australian Standard “Construction” Extension Lead Length: 20 m ..
32A 5 Pin 3 Phase Australian Standard “Construction” Extension Lead Length: 30 m ..
Portable Commercial Power-Board 20 Amp 3 phase supply to 2 x 240V 10 Amp Double Outlets wi..
Three (3) Phase Double Adaptor. 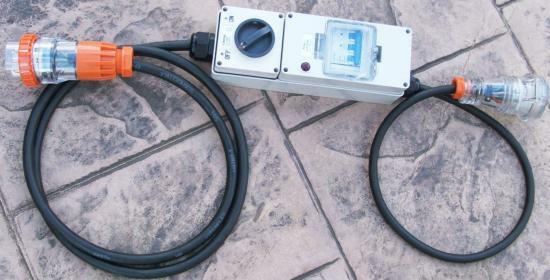 5 Pin 32A 32 Amp 3 Phase double adaptor5 limited to a ma..